Watering the flowers? 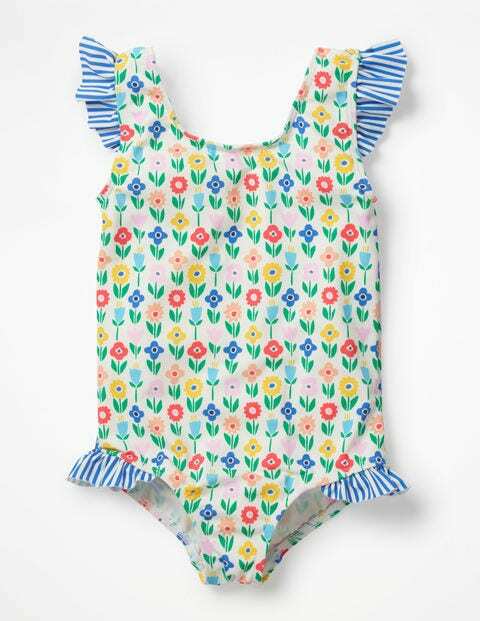 This printed swimsuit is just right for splashing about with the garden hose. The contrast striped frills that line the shoulders and legs are particularly fun when dancing around in the spray.